WordCamp Vegas Has Been Announced! 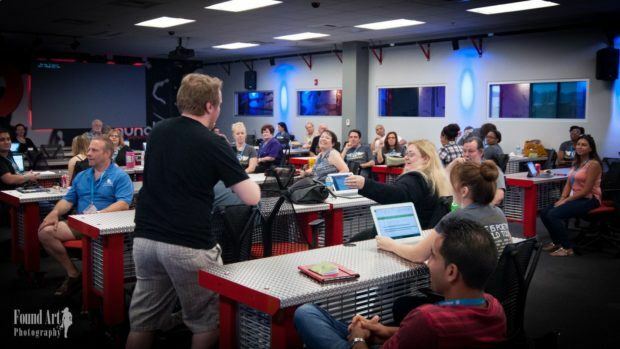 After taking a year off, the highly anticipated WordCamp Vegas is finally back on October 14th and 15th, 2017 at the RedFlint Experience Center. We’ve got the skinny on the new venue, some cool new options, and (most importantly) where you can get tickets. Spoiler alert: if you click that link, you’ll find the page where you can buy tickets. We like to make things easy around here. In 2017, WordCamp Vegas has some sweet new digs in Downtown Las Vegas. 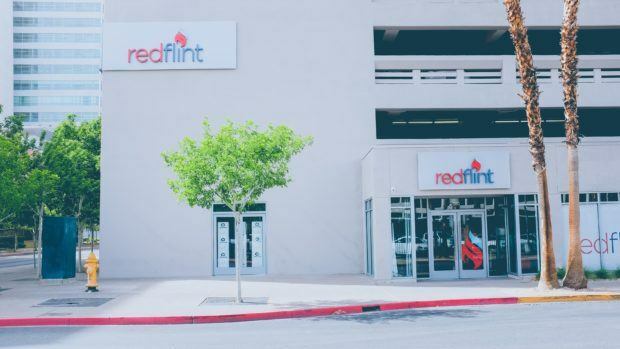 You’ll find this year’s event at RedFlint, a really cool tech-friendly venue in the nicest part of downtown. 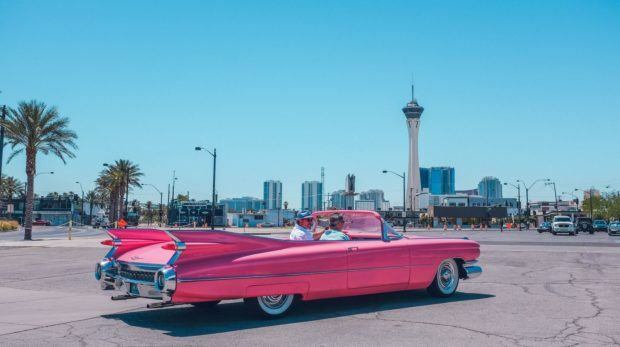 The new location is super close to Fremont Street Experience, commonly referred to as Old Vegas or Classic Vegas, and is within walking distance of some popular downtown hotels. 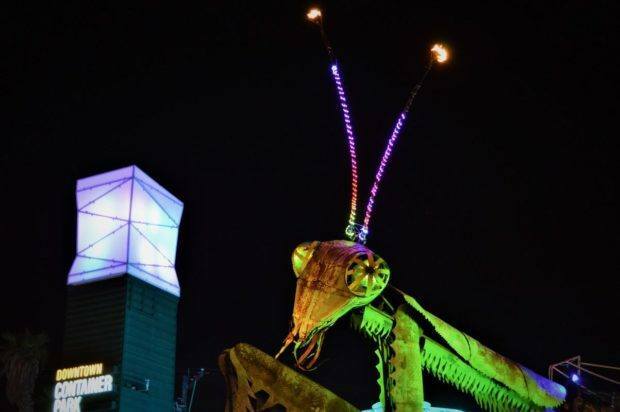 Also nearby, you can find the Arts District, relatively convenient interstate access, and a giant praying mantis that shoots fire from its antennae. Las Vegans forget that this isn’t normal elsewhere. To match the new centralized location, WCLV 2017 is embracing the Vintage Vegas theme. You don’t have to wear showgirl feathers, but if you do, it’s totally theme appropriate. Disclaimer: if you wear showgirl feathers to WordCamp Vegas 2017, do not tell the organizers that Kitty recommended it. The venue isn’t the only change this year. General admission is exactly what you’d expect – general admission. Shocking, we know. Your general admission ticket includes access to both days of WordCamp sessions, After Party admission, food, coffee, and all the various WordCamp swag you know and love. The new thing is the Microsponsor ticket. For $100, you can become a WordCamp Vegas Microsponsor, which means you get to sponsor WordCamp and are mentioned in promotional materials for a much lower entry price that other types of sponsorship. 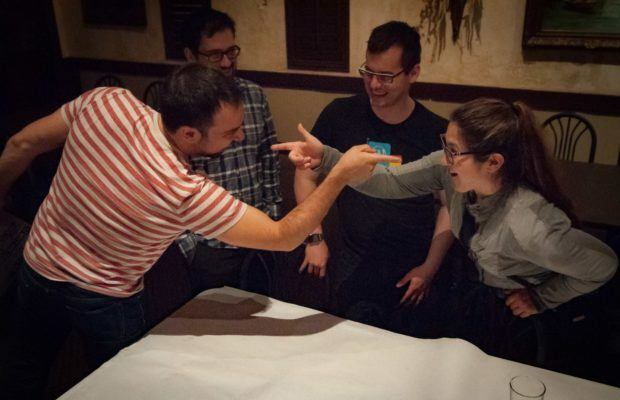 Microsponsorships are perfect for small businesses, freelancers, particularly generous WordPress fans, or solo entrepreneurs who would love to sponsor a WordCamp, but don’t necessarily have $500, $1,000, or $2,000 sitting around to become a sponsor. It’s a great way to help a great community event come together, and it still costs less than a traditional conference ticket. For other sponsorship opportunities, check out the call for sponsors before it closes. Vintage Vegas is this year’s WordCamp Vegas theme. If you’re brand new to the WordPress scene, here’s what you need to know: it’s awesome. 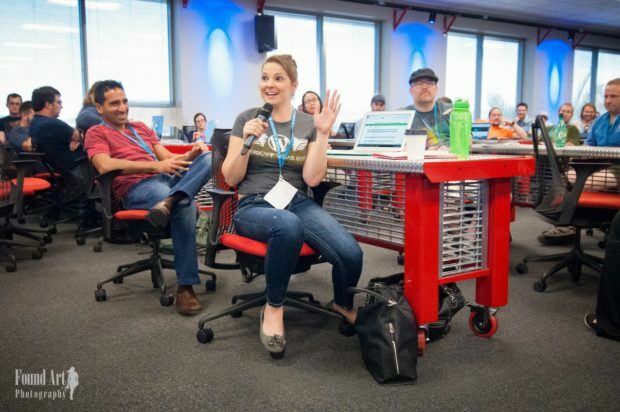 WordCamps are community-organized events at which attendees can learn all things WordPress, from how to build a sweet website, to how to start a WordPress focused business, to how to write a great blog post that people really want to read. You’ll find a schedule of sessions, which are a little bit like college lectures. Some are very hands-on, and some are more informational. Some are technically advanced, and some are all about the basics for beginners. Each WordCamp tries to provide a variety of topics, styles, and skill levels so that each attendee gets exactly what they need. The sessions are only the beginning, though. WordCamps also showcase a variety of sponsors, usually people and companies that provide support and products for WordPress users. If you host your website at a popular hosting company, for example, you’ll likely find representatives of that company at your local WordCamp giving away swag, answering questions, and generally being really cool. As a WordCamp attendee, you’ll have chances to talk to experts who can help you sort out your website or marketing conundrums for free. Some of these people charge hundreds of dollars per hour to provide this kind of support, so take advantage of the opportunity to chat with them during the event. There’s hundreds of dollars worth of education, swag, and bonuses for a mere $20 per day. It’s difficult to describe the community atmosphere at WordCamps unless you’ve experienced it for yourself. You can walk in without knowing a single person there, and by the time you go home on Sunday, you feel like you’ve just spent a weekend with your closest friends. Get your tickets for WordCamp Vegas 2017 on October 14th and 15th, and you’ll get way more value than you expect for a $40 weekend conference. WordCamp speakers are volunteers who have real world experience using WordPress, not professional presenters who travel the country charging thousands for their talks. If you’re in Vegas and you’ve got something to say, consider applying as a speaker for WordCamp Vegas 2017. The call for speakers is officially closed, but as long as the form is still up on the website, you can unofficially submit a talk idea, and if you have something valuable to share, odds are pretty good that you’ll still make it on the roster.